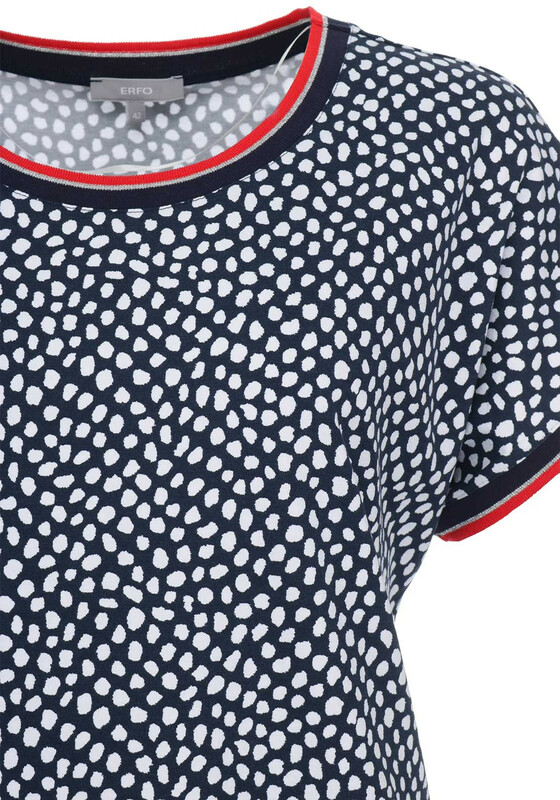 Create a charming twinset by wearing this navy top from ERFO with the matching cardigan. 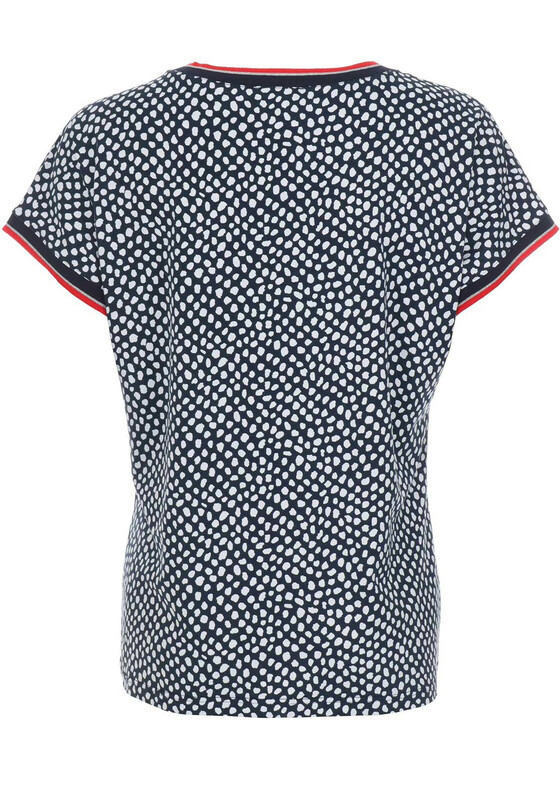 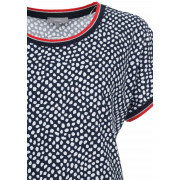 Made from comfortable navy jersey fabric with a white spot print throughout. 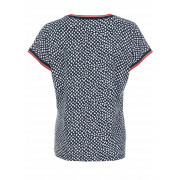 Designed with short sleeves and a straight shape. 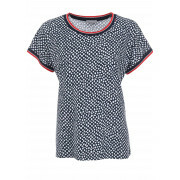 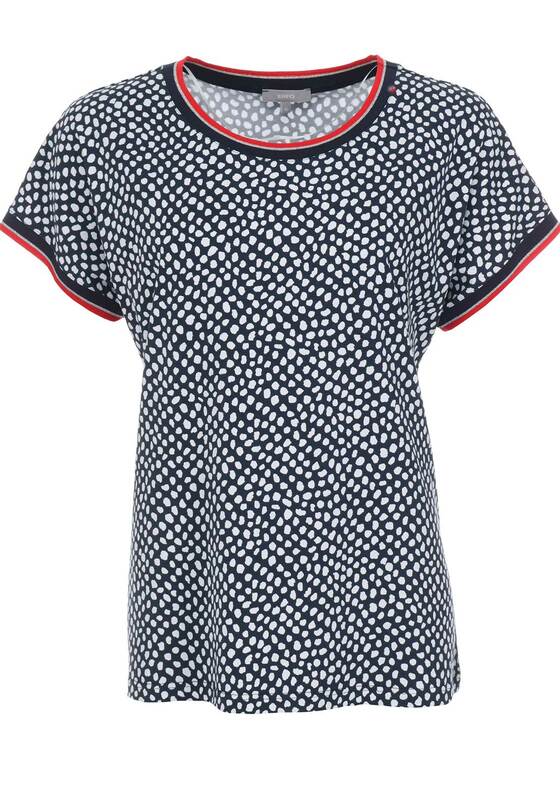 Featuring a red and navy striped trim at the round neckline and sleeve bands.